Rhio Sutoyo: Got Problems?! 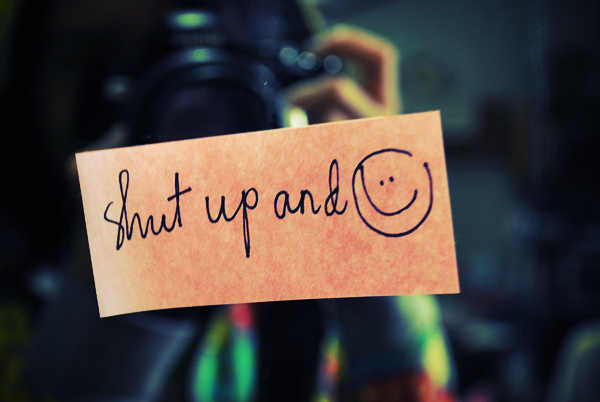 Just Shut Up and Smile!! It's almost two months since I have lived in Germany. In my daily life, there are some parts of activities which are very different from my life when I was in Bangkok and Jakarta. For instance is cooking! I am not comfortable with cooking because I don't like to touch oily or sticky stuff when we usually have to handle in the process of cooking. Thus, I constantly wash my hands even I have not finished my foods. Furthermore, I also have to do *daily* chores; which are: washing dishes, swept my room, and washing my clothes. Gosh! I am sick of those house duties! Those are the reason why when somebody asks for my conditions in here, I spontaneously answer them with "kidnap me to Jakarta", "I miss my home than ever" and so on. But, I also realized that I still have to stay in Germany for more than 10 months. I cannot avoid those chores and run away from my responsibilities in here. Then, I understand that I cannot be like this anymore, grumble would not change anything! I promise to myself to just "shut up and smile" in any condition that I have to face in Germany.